Definition at line 42 of file CMiaseTask.h. Definition at line 44 of file CMiaseTask.cpp. Definition at line 47 of file CMiaseTask.cpp. Definition at line 53 of file CMiaseTask.cpp. 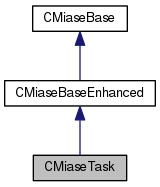 Definition at line 68 of file CMiaseTask.cpp. 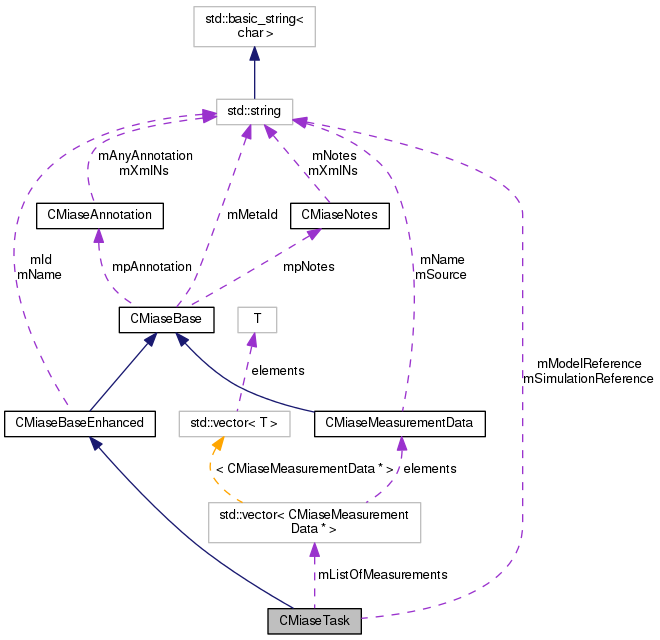 Referenced by CMiaseParser::getLastObj(), CMiaseParser::newAnnotation(), CMiaseParser::newMeasurementData(), and CMiaseParser::newNotes(). Definition at line 58 of file CMiaseTask.cpp. Definition at line 83 of file CMiaseTask.cpp. Definition at line 63 of file CMiaseTask.cpp. Definition at line 88 of file CMiaseTask.cpp. Definition at line 73 of file CMiaseTask.cpp. Definition at line 78 of file CMiaseTask.cpp. Definition at line 70 of file CMiaseTask.h. Referenced by addMeasurement(), getLastMeasurement(), getMeasurement(), and getNumberOfMeasurements(). Definition at line 67 of file CMiaseTask.h. Referenced by getModelReference(), and setModelReference(). Definition at line 68 of file CMiaseTask.h. Referenced by getSimulationReference(), and setSimulationReference().